What do we love about living in Hudson, WI? The independent restaurants! The dining scene in Hudson, WI is hard to beat. The historic downtown Hudson, WI area includes many options for dining, from bar and grills, sports bars, wine bars, fine dining, and little independent spots with amazing ambiance. 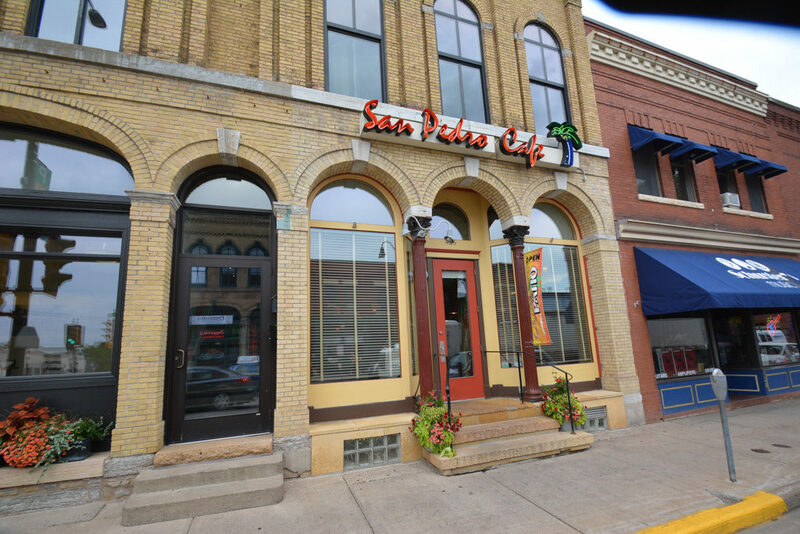 San Pedro Cafe is one of our favorite restaurants in Hudson, WI! Located in historic downtown Hudson, WI, this charming restaurant offers flavorful Caribbean style cuisine, made fresh, and to order. Our favorites are the Jerk Chicken Lettuce Wraps, Seared Scallops, and the Ginger Stir Fry. They have one of the best outdoor dining areas out back in their patio. San Pedro Cafe is small, so reservations are highly recommended (715) 386-4003. Located at 426 2nd Street in historic downtown Hudson. John and Becky Durham of the Durham Executive Group and RE/MAX Results offer the best real estate services available. John and Becky are both licensed in WI and MN with John being a licensed Broker and a Certified Luxury Home Marketing Specialist (CLHMS), and Becky a Accredited Staging Professional (ASP). They also are relocation realtors working with both incoming and outgoing employee relocation transferees. Did you know that when you relocate to Hudson WI, through a company relocation or transfer, you are allowed to choose your own realtor? It’s true! Your employer or relocation company may provide you with a list of ‘preferred’ realtors, but you are allowed to choose from any realtor with relocation credentials. John and Becky Durham are Accredited Relocation Agents, with vast experience working with families relocating to Hudson, WI. Call John and Becky today! "John and Becky Durham were very helpful in giving us suggestions about preparing our house for the market and in the providing of contractors to assist in the preparation. Their home marketing was very... continued"